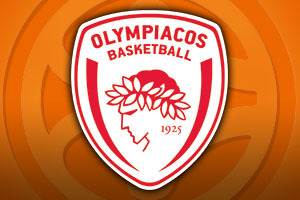 Spread Pick: Olympiacos wins with handicap -8.5 at 1.90 Over/Under: Over 147.5 1.90 Bet Now! You can expect a fiery encounter when Greek and Turkish sides clash and the game between Olympiacos and Galatasaray is sure to be an excellent match in Group D. The Greek side are top of the group with a 4-0 record and they are followed closely behind by their Turkish opponents. Galatasaray hold a 2-2 record but their point’s difference sees them sitting in second above the two other Group D teams who hold that record. Behind Olympiacos, it is a tight group and a Galatasaray win could blow the group wide open. The Greek side will be confident of winning this match though, as you would expect from a team holding a 4-0 record. There was further confidence to be taking from their recent win. Crvena Zvezda are one of the three teams sitting with a 2-2 record in Group D and this was down to the 57-62 away win that the Greek side served up in the last game. The win was down to a strong team performance but Vasillis Spanoulis offered up 14 points, Bryan Dunston grabbed 11 and youngster Dimitrios Agravanis delivered 8 points, 9 rebounds and 2 blocks. Domestically, Olympiacos have also been in good form, sitting with a 4-1 record, defeating Trikalla by a score of 87-72 in their most recent domestic game. As for Galatasaray, they achieved a strong home win in their last Euroleague game, defeating Neptunas by a score of 94-68. The top men for the Turkish side in that game were Sinan Guler with 18 points, and Carlos Arroyo who offered 15 points, 5 assists and 5 rebounds. Domestically, Galatasaray are on form, holding a 4-1 record and recording a narrow 77-76 win over fellow Euroleague rivals Anadolu Efes. With respect to this game, Olympiacos may be able to welcome back Georgios Printezis after an ankle injury and it is likely that Tremmell Darden will be able to see more game time this game. However, Matt Lojeski is likely to remain absent for the Greek side. For the away team, Martynas Pocius is a doubt with the player suffering from a back injury. With both teams having quality all over the court, it may well be that points are in short supply and the Over/Under market is well worth taking a look at with respect to odds of 1.90 for Over 147.5. 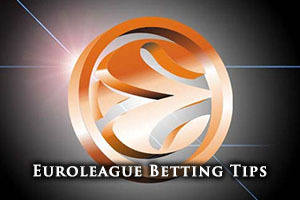 As for the spread pick, you have to fancy the Greek side to continue their Euroleague Group D dominance and odds of 1.90 for Olympiacos at -8.5 are likely to be of merit if you are keen to bet on this match. Bet Now! The reasons for trusting Olympiacos can be found throughout the preview but there is no doubt that a 4-0 record, and a strong win on the road in Belgrade last time around will see the home side coming into the match with plenty of confidence. The expected return of Tremmel Darden will provide even more vigour to Olympiacos and the team has one of the strongest players in the league at the moment in Vasillis Spanoulis. When you take on board the fact that the player has averaged 19.5 points per game, which is the 2nd best record in the 2014/15 Euroleague so far, you can see why there is a great deal of confidence coming into this game. Galatasaray will be out to make life as difficult as possible for the group leaders but if the game goes to form and expectations, the home side will be too strong for their closest rivals in the group.